Is rising investment from Chinese enterprises the reason for an increase in land rents at industrial parks in Vietnam? Shortly after the U.S. began raising the tariff for plastic packaging from China to 10% from zero in October 2018, plastic packaging producers in China made their way to Vietnam to seek investment opportunities. Anna Ho, CEO of Silstar Machinery, a big supplier of equipment and machinery for plastic packaging producers, said three Chinese producers have come to Haiphong City and neighboring areas of HCMC to study the possibility of opening manufacturing facilities there. “The preparation by the Chinese producers is not something too early, as the U.S. could raise the tariff for plastic packaging from China, while the rate for Vietnam and some regional countries is zero,” said Ho. She thought that Chinese producers have come to Vietnam mainly to study the land rent and the labor cost to weigh the advantage of opening factories in Vietnam versus other countries in the region. 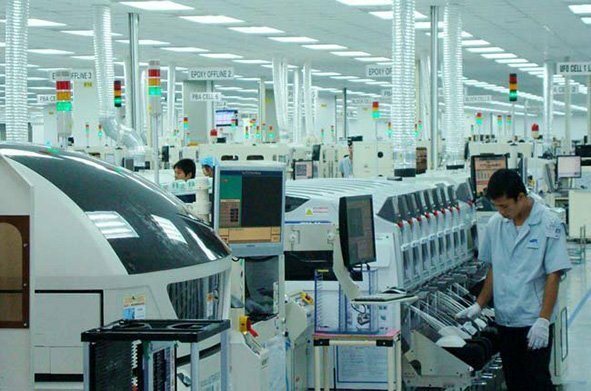 According to a source from the Vietnam-Singapore Industrial Park Joint Venture Company (VSIP), the developer of VSIPs in Vietnam, 24 Chinese investors have booked land for factory construction in VSIP 3 in Binh Duong Province though the park has yet to be put into operation. Those investors are active in different industries, such as electronic component, interior furnishings, precision engineering, supporting industries, textile and garment, and construction materials. The number of Chinese investors is quite large compared with those of investors from other countries and territories. Of note, the number of Chinese investors in VSIPs in central Vietnam has increased remarkably. Over the past four months, 70-80% of the investors coming to study VSIP in Nghe An Province are from China. In VSIP in Quang Ngai Province, 70-80% of the tenants are Chinese enterprises. 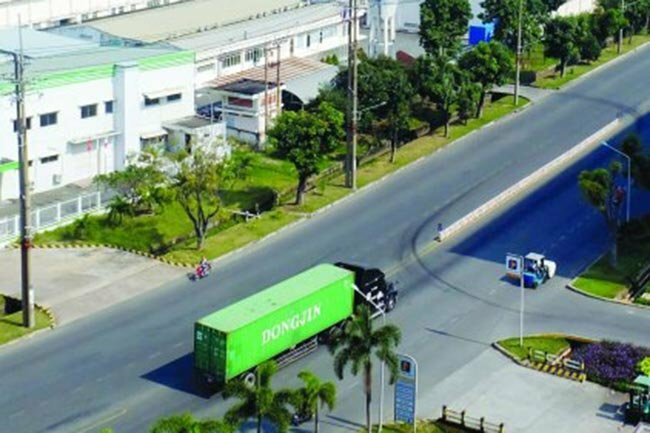 Tran Duy Vu, deputy general director of the Industrial Zone Development Company, noted the same situation at the Kizuna Industrial Parks in Long An Province. 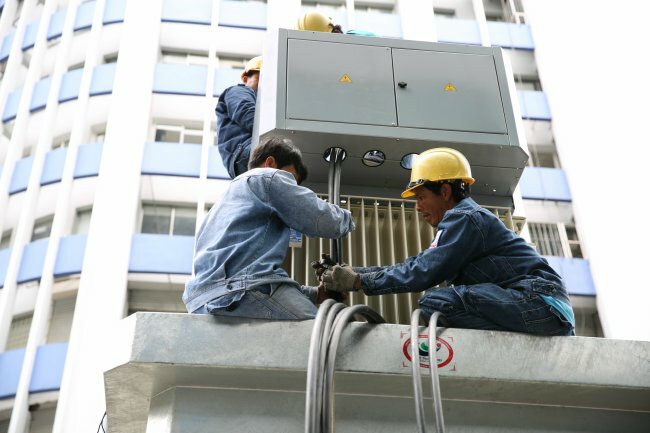 The parks have small ready-built factories, so the company mainly focuses on attracting small and medium enterprises with modern technology from Japan, South Korea, the U.S. and Europe. However, it has recently received many Chinese enterprises coming to study investment opportunities. Vu said it’s hard to know the reason for their interest, but part of the reason may be the high U.S. tariff imposed on Chinese imports. Truong Van Trieu, head of the Long An Economic Zone Management Board, also noted an increase in Chinese investors’ visits to study investment opportunities in industrial parks in Long An, among them are garment and footwear enterprises. The shift of manufacturing from China to other countries has actually happened over the past few years, but the current Sino-U.S. trade war is accelerating the process. Before 2010, Chinese foreign direct investment (FDI) in Vietnam was quite modest, and China was virtually not in the list of the top ten foreign investors in the country. However, since 2011, a significant change has been noted in Chinese FDI in Vietnam. In particular, since 2015 when Vietnam began the process of joining the Trans-Pacific Partnership (TPP) Agreement, China has often been in the top ten, as Chinese investors are keen to go ahead in penetrating the large Pacific rim market. Data from the Foreign Investment Agency under the Ministry of Planning and Investment indicate that China ranked fourth in pledged FDI capital in Vietnam in 2017, with nearly US$2.17 billion. In the first 11 months of 2018, Chinese investors pledged a total of more than US$1.81 billion, including fresh capital in 335 new investment projects, added capital to 81 operational projects and capital contributions and share purchases through 922 deals with Vietnamese enterprises. Rising Chinese investment in Vietnam may aim at enjoying the preferential tariffs for exports to the United States or the European Union, who are partners in many free trade agreements with Vietnam. The phenomenon is also attributed to the policy change of the Chinese Government, who encourages Chinese enterprises to invest offshore to earn dividends as a way to offset domestic economic difficulties. The land rent at industrial parks in HCMC and neighboring provinces has been on an upward trend. According to a survey by the real estate consulting firm Jones Lang Lasalle (JLL) Vietnam, the land rent in HCMC increased from US$143 per square meter in Q4 2017 to US$150 per square meter by end-June 2018. At this rate, HCMC has continued to take the lead in the southern region thanks to its favorable location. Meanwhile, the land rent in the southern key economic region averages US$72 per square meter, up 4.7% versus the rate in Q4 2017. The rent in other cities has also risen by US$3-5 per square meter. The source from VSIP said the land rent at the expanded VSIP 2 in Binh Duong surged to US$85 per square meter in November, an increase of 30% compared with the rate of US$65 per square meter in end-2017, but no more land is available for rent. 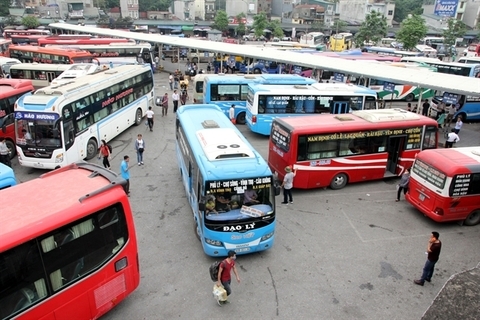 Trieu from the Long An Economic Zone Management Board noted that the industrial land rent in Long An has increased earlier than those in Binh Duong and Dong Nai, and the rent for land with complete infrastructure in some places has soared to US$100-140 per square meter depending on the location. 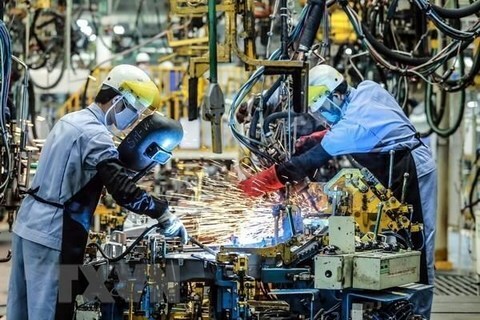 Meanwhile, Vu from the Industrial Zone Development Company said the rent for ready-built factories at Kizuna industrial parks has risen 10% due to higher input costs. According to experts, Vietnam has become a destination for investors from not only China but also other countries, who have pledged large capital, especially in the production sector. Meanwhile, there is no more ample land for industrial production in HCMC and neighboring provinces. 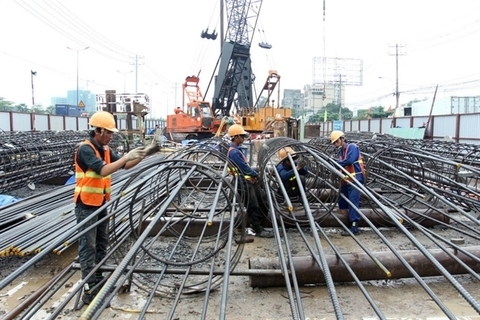 According to the source from VSIP, the areas within a 40-60km radius of HCMC have virtually no land for industrial zone development; so the industrial land rent in Binh Duong is forecast to continue rising in the coming time. 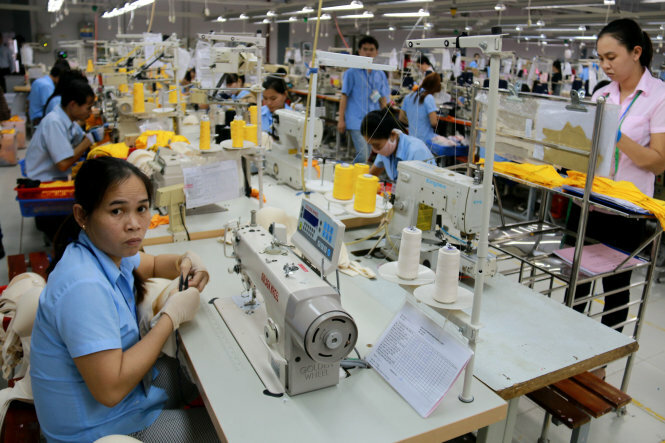 In Dong Nai, the rate of land lease in industrial zones had reached more than 75% by mid-2018, nearly 10% higher than the average rate nationwide. By mid-2018, the average occupancy rate at industrial zones in the province had increased by 5% from 70% at end-2016.